The Institute for Health Policy serves as a catalyst for converting academic research into recommendations for more effective public health policy and better healthcare. Some of the Institute’s current areas of focus include: improving the evidence base of health policymaking, population studies on health needs, enhancing regulatory science and environmental health policy, innovations in inter-professional education for the next generation of health professionals, and access to health care, both nationally and internationally. Faced with serious risks to health, rising costs and an overburdened health care delivery system, Texans should be able to rely on their universities to provide new solutions to health problems and to inform the actions of their leaders on health matters. Despite the state’s investment in premier academic health science centers, however, little attention has been given to getting the research findings produced by these institutions to those who often need them the most policymakers and practitioners in a form that they can use. The challenge of translating technical findings into meaningful actions and alternatives, and then ensuring that these are widely available, is rarely met. Academic researchers typically have neither the resources, nor the know-how to accomplish this effectively. The primary mission of the Institute for Health Policy is to meet this challenge not only by translating research findings into practical advice for problem solving, but also, more generally, by fostering more productive exchanges between the worlds of academic research and of public health problems and policy concerns. Bridging and Brokering to contribute to improving the health of the public by developing creative ways to bridge the gap between scientific research, practitioners and policymakers and brokering opportunities for mutual support. Analysis to provide useful and reliable knowledge for health policy and problem solving based on both the translation of scholarly work and periodic assessments of health trends throughout the state. Design and Development to develop effective strategies for the design, communication and dissemination of viable policy solutions and to build the collaboration necessary to make those solutions more effective. Education and Communication to equip the next generation of health policy leaders with the skills necessary to use scholarly inquiry and to inform research questions with policy knowledge. Having a centralized mechanism for translating research findings and disseminating them to potential users saves each research project the expense of creating its own capacity and learning how to make it work. The Institute is uniquely designed to perform this “bridging” function. Moreover, when policy issues arise or practical problems become known, instead of relying on haphazard contacts to draw the attention of researchers, the Institute is ideally suited to “brokering” requests to those best able to meet them. As noted, the bridging and brokering can work in both directions. Research findings can also be brokered to potential users, and bridges can be built and maintained between health policy action and academic study. The Institute for Health Policy is currently in the process of collecting data for the Health of Houston Survey 2017 in the Greater Houston area. The Project on Community Health Worker (CHW) Policy and Practice purpose is to serve as a statewide and national leadership resource for advancement of the CHW workforce through the provision of research, policy analysis and stakeholder education. The Institute for Health Policy conducts the most comprehensive health interview survey of the Greater Houston Area. The Institute for Health Policy played a key role in organizing and coordinating former Mayor of Houston Bill White’s Task Force on the Health Effects of Air Pollution. Along with the report (entitled “A Closer Look at Air Pollution in Houston), the IHP has gathered policy information related to air pollution in Houston. APHA Internships and Fellowships, must be an APHA Member. Location: Washington, D.C. The Archer Fellowship Program - UT Austin. The Archer Fellowship Program: Live, Learn and Intern in Washington, D.C.
Congressional Budget Office Internships, Washington, D.C.
CBO requires the submission of two (2) employment applications: (1) jobs and (2) intern. Senator Rodney Ellis, Texas District 13, The Texas Legislative Internship Program (TLIP). TLIP provides opportunities for undergraduate and graduate students attending Texas colleges and universities to serve as interns in the Texas Legislature, in various state agencies, and in local government. Since 2003, The School of Public Health has provided support for the Health Policy Fellowship Program to ensure that the teaching and research programs within the School continue to have relevance. Through this program our faculty and graduate students can provide significant resources to government, at all levels, in the development of public health policy. We recognize that schools of public health need to provide students with an opportunity to learn the entire scope of public health, including political and management skills needed for leadership. 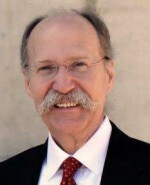 As Director of The Institute of Health Policy at The University of Texas School of Public Health, Dr. Stephen Linder coordinates the Health Policy Fellowship Program. He is dedicated to providing students with excellent opportunities for education and research in current state health policy topics and the legislative process. Any currently or prospectively enrolled student for the present academic year. (1) the Department of Management Policy and Community Health (MPACH) to inquire about any opportunities available for students. (3) some fellowships are offered only occassionally at the TMC Health Policy Institute. A brief Curriculum Vitae or resume. Highlight relevant background by including course preparation and work experience. Statement of Interest—in 500 words or less, indicate why you are applying for this fellowship or internship program and how this experience will compliment your course of study, what you hope to gain from the experience and what your unique contribution might be. A writing sample (a course paper, research proposal, or analytical essay). Letter of Recommendation—a letter of recommendation from a professor or past employer is required. It may be included in packet or emailed to patricia.a.poole@uth.tmc.edu. Reference student name and internship in Subject Line. 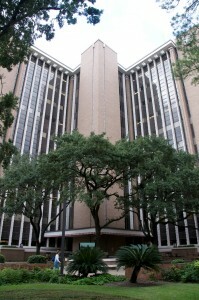 The Institute for Health Policy is located in the Texas Medical Center at 1200 Pressler, Houston, Texas. It is Metro and light rail accessible. A small parking lot is available for visitors directly in the front of the school. If parking is not available there, the Texas Medical Center provides parking garage 17 to school visitors. It is located on the north side Holcombe and Bertner intersection with an entrance on Bates St. There is an hourly charge for all parking on the Texas Medical Center campus. Fellows have received staff assignments to the Texas House Committee on Public Health. Bio CV E. Lee Rosenthal, Ph.D., M.S., M.P.H. Bio Carl H. Rush, M.R.P. Jacqueline R. Scott, J.D., M.L.